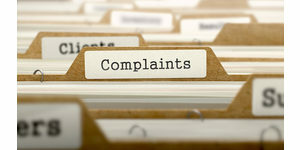 CNA, the leading malpractice insurer for Louisiana lawyers, recently distributed to its insureds helpful advice as to how they should handle complaints from the Office of Disciplinary Counsel. See CNA, Professional Counsel, How to Handle an Ethics Grievance (Nov. 2018). Although 90% of complaints “result in no disciplinary charges being filed,” a lawyer must not handle the process “in a cavalier manner.” Id. at 1. The “Worst Thing to Do,” says CNA, is to attempt to decive disciplinary counsel in an effort to avoid sanctions. After all, “[t]he predominant lesson derived from the Watergate scandal” is that “the cover-up was worse than the crime.” Id. at 1. The “Second Worst Thing to Do,” is to ignore the complaint by failing to submit a response. A lawyer has an obligation to cooperate with disciplinary counsel.1 A lawyer’s failure to respond is often a flag to ODC that a “larger problem” exists, such as widespread neglect of client matters or an untreated “mental health or substance use disorder.” Id. at 2. The CNA bulletin then turns to “the constructive steps a lawyer should take in response to an ethics grievance.” Id. at 2. First, the lawyer should review the lawyer’s malpractice insurance policy. Most policies issued in Louisiana cover the cost of disciplinary proceedings, including the fees of disciplinary defense counsel. This coverage is “supplementary” and in addition to the policy limits of liability; it typically is not “subject to the deductible.” Id. at 2. CNA notes that “[s]ome attorneys decide not to report an ethics grievance to their insurer beliving either that the matter is insignficant or that their premiums will increase.” Id. This approach is “often ill-advised and shortsighted.” Id. To obtain coverage, a lawyer must promptly report any disciplinary complaint received from the ODC to the lawyer’s malpractice carrier. In Louisiana, waiting until formal charges are filed with the Louisiana Attorney Disciplinary Board is too late to obtain coverage. See Trelles v. Continental Cas. Co., No. 2016-CA-0894 (La. Ct. App. 1st Cir. 2017) (holding that “an initial inquiry” by the Louisiana Attorney Disciplinary Board, Office of Disciplinary Counsel was sufficient to trigger the lawyer’s reporting obligation for purposes of securing coverage for disciplinary-defense costs). We all know the “old adage that a lawyer who represents himself has a fool for a client.” CNA notes that this “applies to disciplinary matters.” Id. A veteran disciplinary defense counsel “who knows the substantive law, as well as procedural issues, can sometimes make the difference between no charges being filed and a formal complaint” being filed. Id. A lawyer receiving a complaint should promptly preserve all file materials relating to the matter. Id. at 3. “File materials” includes not only paper records, but also email correspondence and other electronic records. CNA notes that a lawyer’s “attitude and behavior during the disciplinary process often influences the outcome.” Id. Indeed. In addition to souring the Office of Disciplinary Counsel toward a respondent, remorseless defiance “often counts against the attorney as an aggravating factor.” Id. The CNA bulletin concludes with sound advice: “No lawyer facing the prospect of discipline should try to navigate the process on his or her own. Lawyers that have malpractice insurance should take advantage of the coverage offered by their insurer, which may include monetary and legal assistance.” Id. at 4.